You don’t need a gym to experience a great workout. These 20 exercises, recommended by fitness expert Amy Dixon, will hit every single muscle in your body and slash fat — without any equipment. One of the best exercises is also one of the most natural (just watch a baby sit). This movement works all of the muscles in the lower body including the quads, glutes and hamstrings. It also provides an extra kick for the core as you need your deep abdominal muscles and back to perform this exercise correctly. 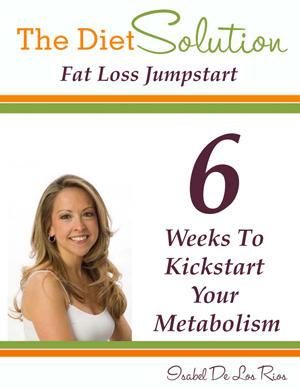 >>>Want a Free workout emailed to you daily? Sign up here! This is one of the best upper body exercises because it works everything from your chest to your back, your arms and even your abs. Make sure your shoulders line up with your wrists and you tuck your elbows towards your sides (and don’t flare out your elbows wide). Try to get your chest and hips as close to the floor as possible without touching. The bridge (also called a hip raise or extension) will strengthen your glutes and hamstrings, while also working your abdominals, back and inner thighs. For a fun variation, lift your hips with your feet flat on the floor and slowly extend one leg long into the sky. Start with feet together and arms resting comfortably by your sides. Step forward with your right foot and lower your body until your front knee is at 90 degrees and your knee is not touching the floor. Then, to complete the exercise, push off of your front right foot while straightening your left leg. Keep your right foot off of the floor and balance with your right thigh parallel to the floor. This exercise targets the muscles on the back of your upper arms. If you find that you have wrist discomfort, try turning your hands slightly to the side or take breaks to roll out your wrists. In order to target the back of your arms correctly be sure to have your hips as close to the edge of the chair as possible, otherwise your legs will do the work instead of your arms. This is one of the best hamstring, glute and core exercises, and it works the muscles on the backside of your body that are typically ignored. Stand on one leg with your knee slightly bent, and without changing the bend in your knee, bend at your hips and lower your torso until it’s parallel to the floor. Pause, then return to the start. Do all reps, and then switch legs and repeat. Come into a table-top position on your palms and knees, making sure that your head and neck are a natural extension of the spine. Extend your right arm out directly in front of your shoulder. With your palm facing in, slowly extend your left leg back behind you with your heel lifted and leg in alignment with your hips. Complete the exercise by bringing your right elbow in to touch your left knee while rounding up through your spine and tucking your chin into your chest. Return to the starting straight-arm and leg position. 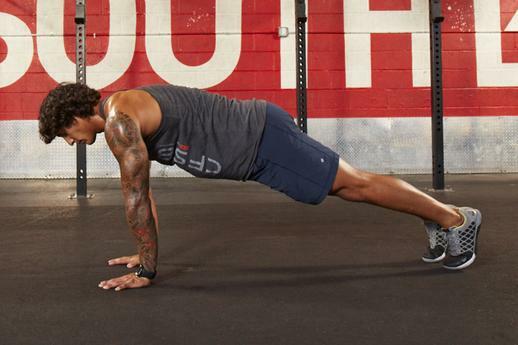 This core exercise can help you build a stronger back and make you less prone to injury. Keep your low back pressing into the ground the entire time and lower your legs as close to the floor as possible without allowing them to touch. To make this exercise easier, bend your knees. Or for more of challenge, keep your legs straight. Most people only exercise in two planes: Up and down or forward and back. That’s what makes side lunges so effective — they train you laterally. This lunge variation is a great addition to any conditioning plan because it will work your muscle fibers, tendons and ligaments in a different pattern. To make this exercise more challenging add a side leg lift to the equation and feel your core kick in, too. 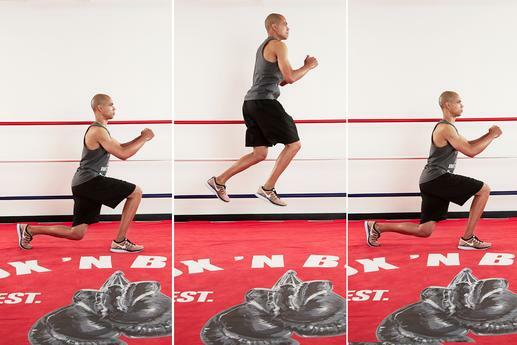 The great thing about burpees are that they combine cardio and strength into one exercise. A burpee is a complex total body exercise that will work your upper and lower body at the same time with a strong focus on the core. 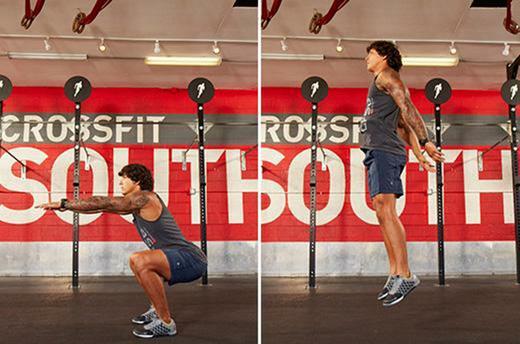 For an added cardio punch, add a full standing jump into the mix before the squat. It’s a simple but challenging way to tone and strengthen your entire lower body: quads, hamstrings, glutes, calves and the anterior tibialis. 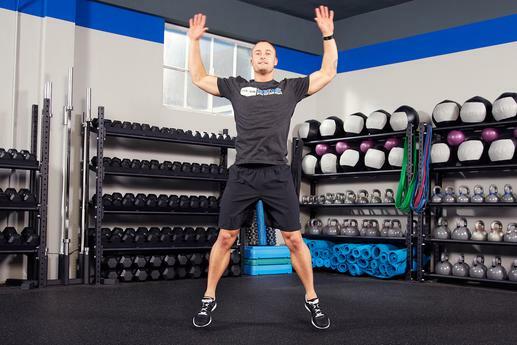 Bonus: It also works the core and will help you jump higher and improve your power. 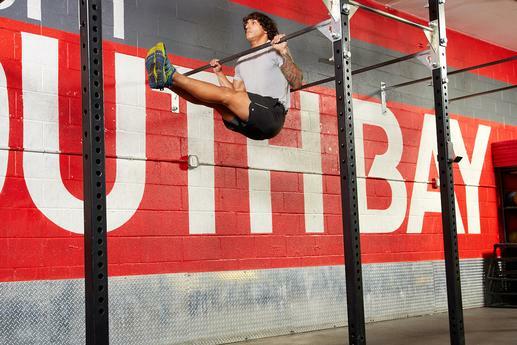 Performing a pullup is one of the most challenging body-weight exercises, and for a good reason: It works the muscles in your back, chest, shoulders, and arms like few others. If you can’t do a standard pullup, try an assisted pullup or complete a kipping motion to help yourself build up the strength necessary to complete this exercise without momentum. Start standing hip-width apart, squat down low and fall forward onto your hands while kicking both heels to your glutes, push off your hands and return to a standing crouched position. Start with your feet slightly wider than shoulder-width apart with your toes pointed outwards. Lower down into a squat until your thighs are parallel to the floor. As you push back up to a standing position, slowly drag your left heel across the ground until it touches your right heel with your toes still turned out. Slowly step out with your right foot returning right back to the squat position and then drag right heel to left. 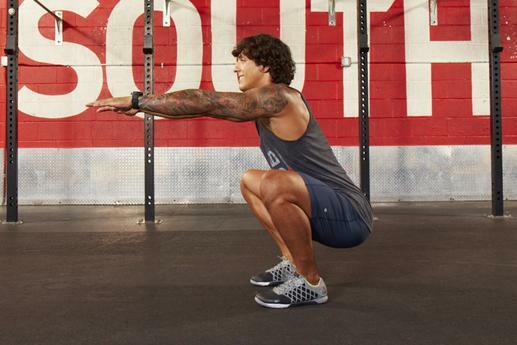 Repeat alternating the heel drags with the squat. >>>Free under 10 minute workouts. Sign up now!